It’s finally feeling like fall in North Florida, and it has me thinking about apples, pork chops, and crockpots. 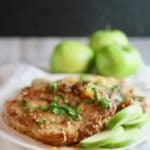 Pork and apples are a marriage made in heaven, and when you add a crockpot to the mix, well it just couldn’t get any better than my Easy Crockpot Pork Chops and Apples. 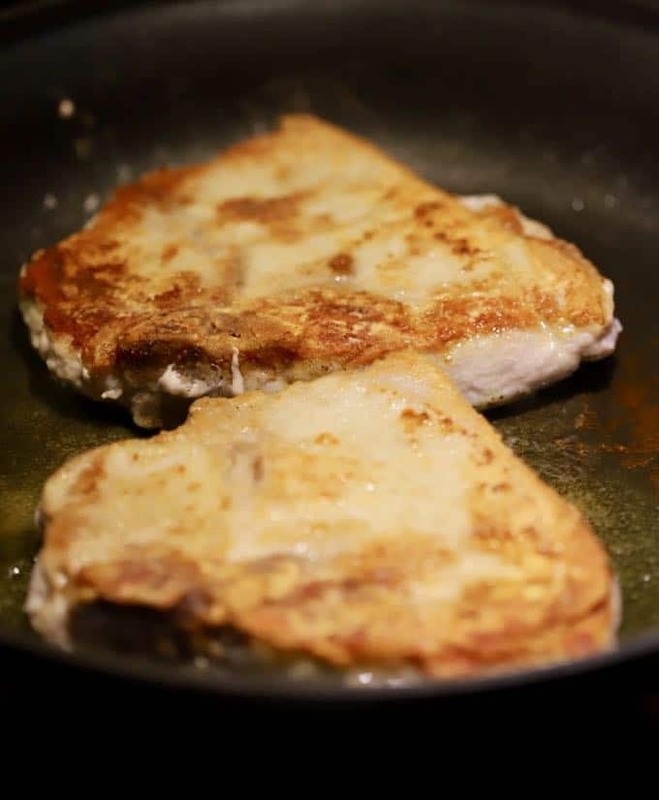 To be honest, my husband hasn’t been a big fan of pork chops, and I have prepared them numerous ways trying to find a recipe that he would like. I knew I would figure out something eventually and I scored big with this Easy Crockpot Pork Chops and Apple recipe! Not only did he grudgingly admit that he actually really did enjoy the pork chops, he ate leftovers the next day which is a litmus test for how much he likes a meal. 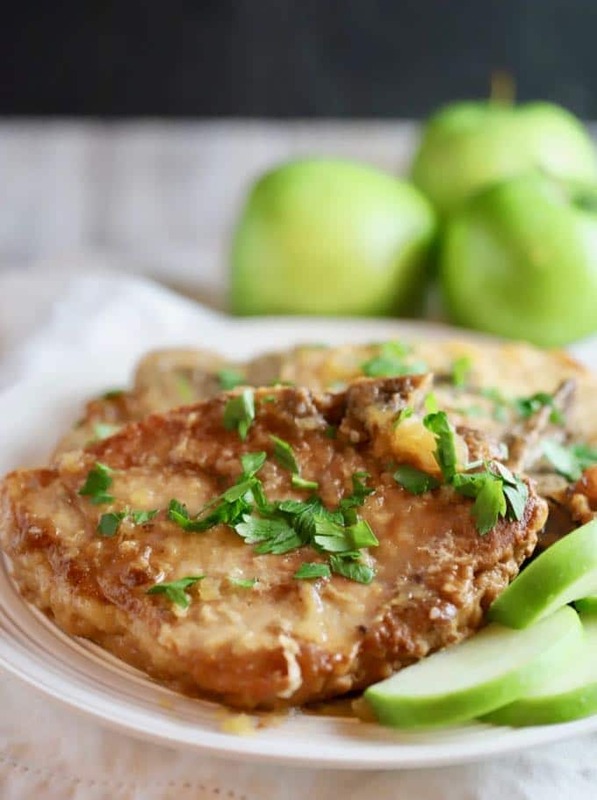 Just imagine, tender, juicy pork chops covered with tart/sweet granny smith apple slices smothered in brown sugar and cinnamon and cooked low and slow for a few hours in the crockpot. You won’t believe how good it smells cooking and how easy it is to prepare. The crockpot does all of the work, and all you have to do is serve it up to your hungry family! If you like crockpot or slow cooker recipes like this, you might also like these delicious choices: Easy Crockpot Chicken Tortilla Soup, Slow Cooker Mediterranean Beef Roast, and Easy Slow Cooker Pulled Pork Tacos. 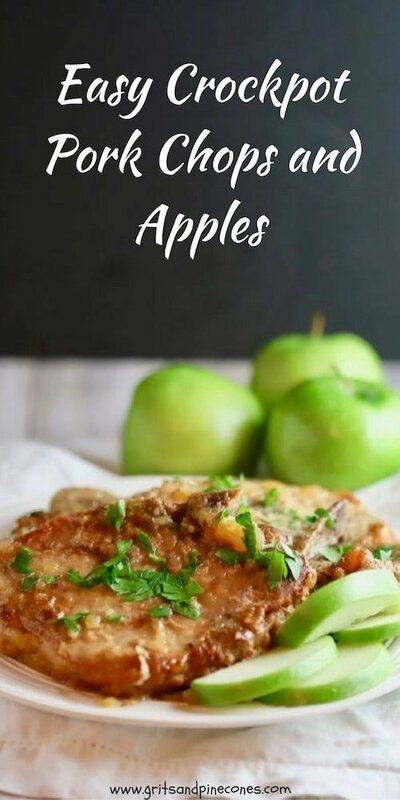 You will only need a few ingredients to make Easy Crockpot Pork Chops and Apples, and they are pork chops, olive oil, all-purpose flour, kosher salt, ground black pepper, brown sugar, ground cinnamon, apple juice or apple cider, and apples. I prefer granny smith, but you can use any type you like. Dredge in flour and shake off any excess. Add oil to a large skillet over medium-high heat. Add the pork chops and saute them for about 2 minutes on each side or until they are lightly browned. Remove from the pan and set aside. Place the apple slices in the crockpot. Sprinkle with brown sugar and cinnamon and add the pork chops. Pour in the apple juice. Notes: *Crockpots and slow cookers cook differently and depending on the model you have, and the thickness of the pork chops, the cooking time may vary. Be sure to check often. The pork chops should be falling off the bone tender when done. The apples will be the consistency of applesauce. 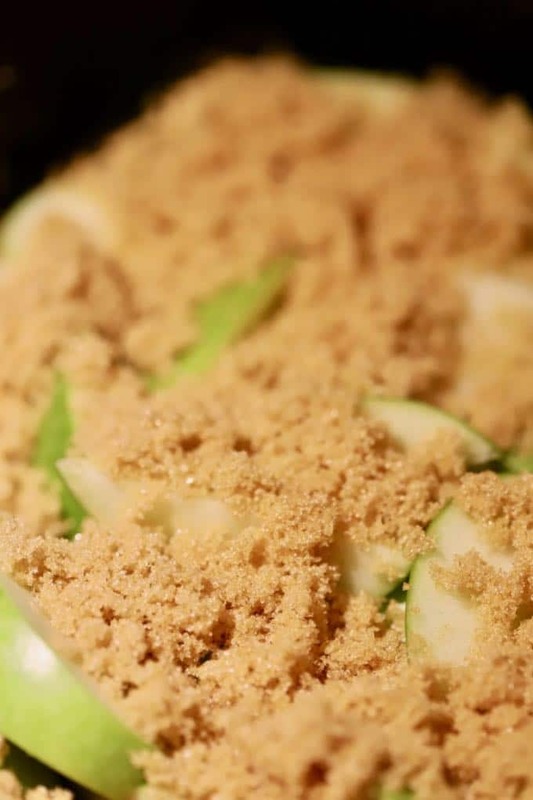 If you prefer the apples firmer, don’t add them to the crockpot until the last hour of cooking. 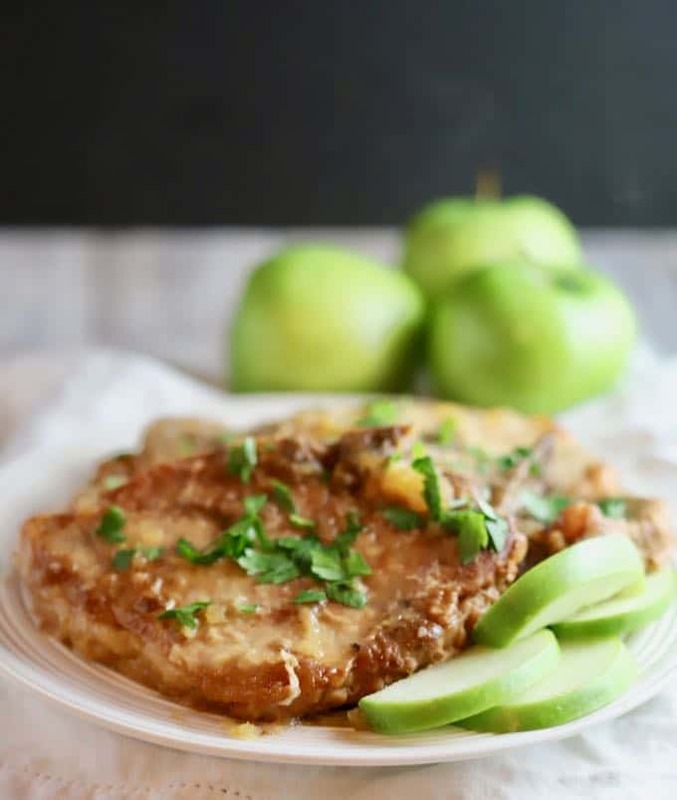 A fall favorite, Easy Crockpot Pork Chops and Apples are tender, juicy pork chops and sweet apples topped with brown sugar and cinnamon and cooked low and slow in the crockpot. *Crockpots and slow cookers cook differently. Depending on the model you have, and the thickness of the pork chops, the cooking time may vary. Be sure to check often. The pork chops should be falling off the bone tender when done. The apples will be the consistency of applesauce. 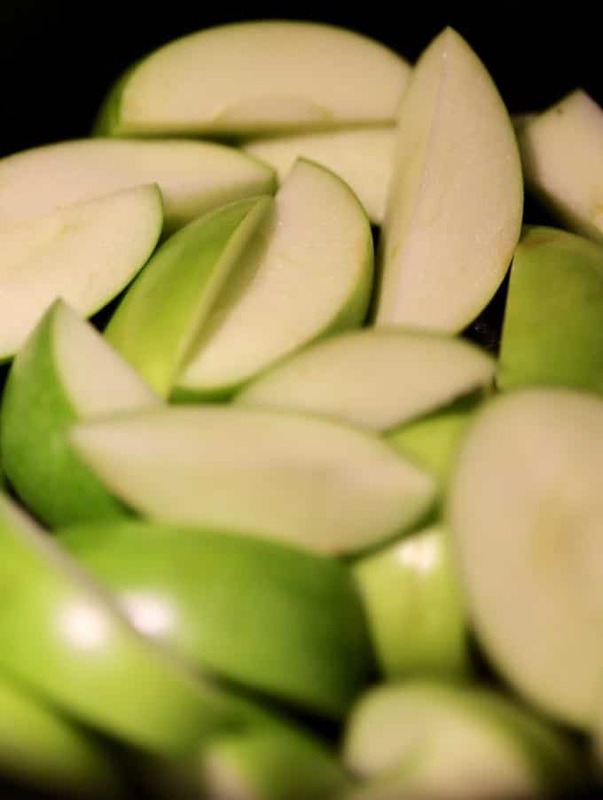 If you prefer the apples firmer, don't add them to the crockpot until the last hour of cooking. Hi! I have this yummy meal in the crockpot now! What would you suggest to have with it? Thanks!! I hope I got back to you in time I’ve served the pork chops with mashed potatoes, orzo or rice. I’ve also served them with just a salad. I hope this helps and I hope you enjoy them! Would gala apples work as well as the green ones? Yes, you can use any type of apple you like.